On the back of a series of recent announcements regarding Intel’s future product line and portfolio, Intel has disclosed to us that it will be holding a forward-looking Architecture Summit/Event in a few weeks. The event will be an exclusively small affair, with only a few press invited, but an opportunity for Intel to discuss its future vision for the next few months with engineers and technical fellows set to give some detailed presentations. One of the most frequent requests we have put to Intel over the recent months is for a return to an Intel that offers more information. In previous years, Intel would dive deep into its product portfolio and its architecture designs in order to showcase its engineering talent and prowess. This often happened at the awesome annual Intel Developer Forum, a yearly event held in the heart of San Francisco, but since it was disbanded a couple of years ago, the level of detail in each subsequent launch has been agonizingly minimal. For an engineering company that used to proudly present its technical genius on a stage, in detail, to suddenly become so very insular about its R&D raised a lot of questions. It would appear our persistence is paying off, and Intel is going to do something about it. Details on the content of the Intel Architecture Summit/Event are slim at this point, as invites are slowly being handed out. At this point we are not immediately aware whether Intel intends to have an embargo. In the past at these sort of events, some of the information became almost immediately available, while some of the meatier details had longer embargo times to allow for the press to get to grips with the information and ask questions and write articles. When Intel discussed the Skylake design in detail before it hit the shelves, there was a short lead time. This event is likely to be along the same lines. At this point we do not know exactly what Intel will be discussing – the only thing we’ve been told is that it will be ‘update’ with Intel’s architects and technical fellows focusing on architecture. This could extend into CPU, GPU, AI, and everything in-between, and if we’re lucky, manufacturing. Given that Cascade Lake is a known part at this point, it would be difficult to see Intel discussing more on the CPU side unless they have an ace in the design we don’t already know about. A far more interesting topic would be on the GPU side, assuming that Raja Koduri and his team have something to say. We already know that the Nervana Neural Network Processor is due out in 2019, so there could be some detail to discuss there as well. 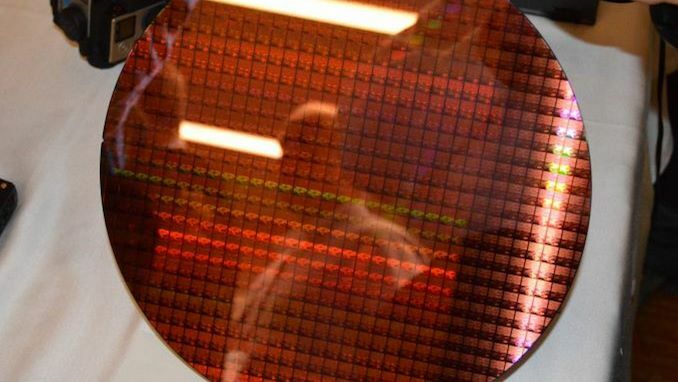 An outside possibility is Intel talking 10nm. One can hope. I’ll be attending for AnandTech. I hope this ends up being a good event, so that there are more like it in the future.